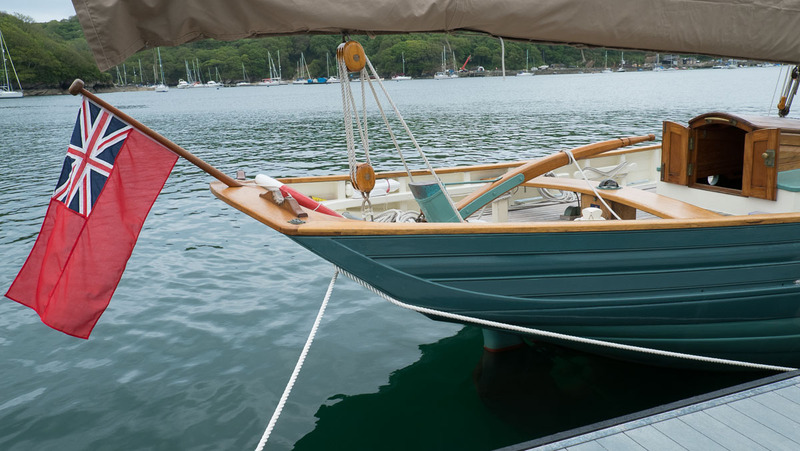 During a recent visit to the Fowey, Cornwall – the south western peninsular of the UK – I came across this gorgeous cutter. 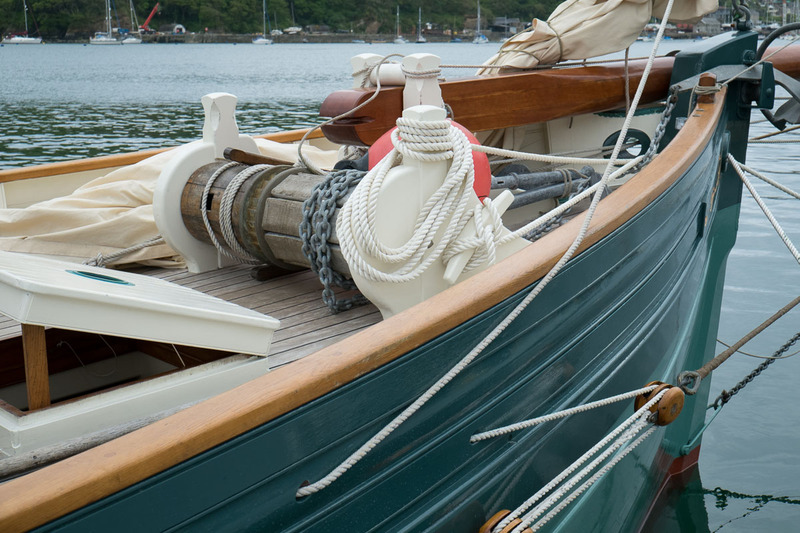 Unfortunately I don’t have any details (no name visible from the dock) and no one was available for comment. Maybe someone out there knows more..? It took my breath away! 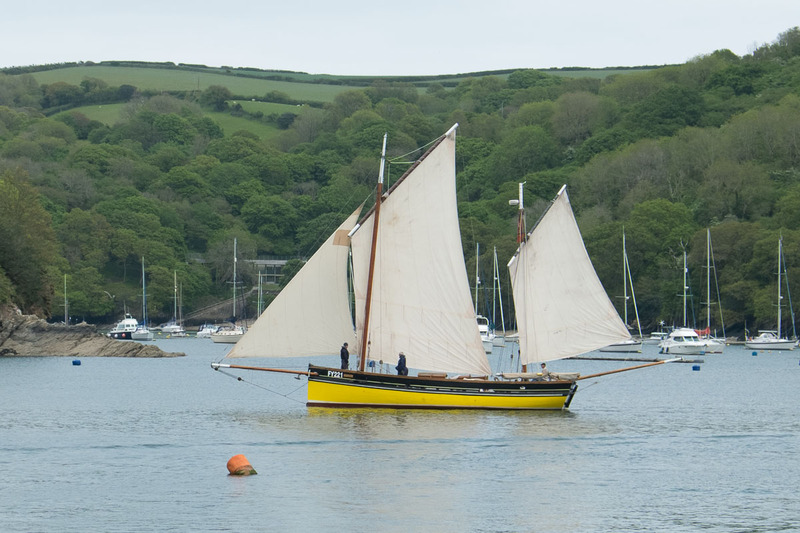 Also seen entering the harbour – a restored working boat no doubt. 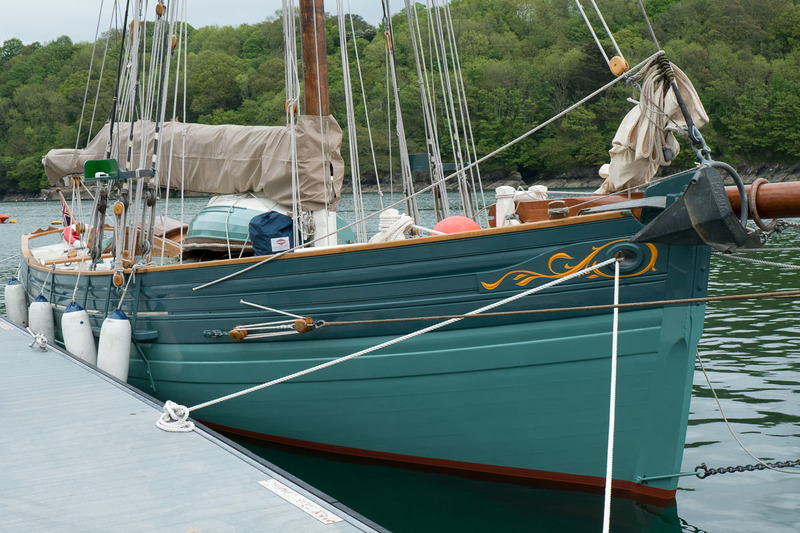 The Bristol Chanel Pilot Cutter looks like a Luke Powell design.